The ancient Hawaiians knew that what happens on land affects the ocean, so they used a system of land and sea stewardship involving the entire ahupua’a (watershed) from land to sea. You can learn about the connection of land and sea by playing the game Reef Defender. 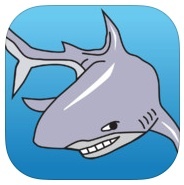 The good guy in Reef Defender is the shark.